Will Sierzchula is a PhD candidate at the Delft University of Technology in the Netherlands, researching factors which influence the development and adoption of electric vehicles. Born in the Ozark Mountains of Northwest Arkansas, but longing for the ocean, one could say that his life has been a journey of sorts. Will’s desire to understand technological change is well placed in the currently exciting and uncertain automotive industry. He received his BA from Carleton College and Masters from the University of Wisconsin-Madison. 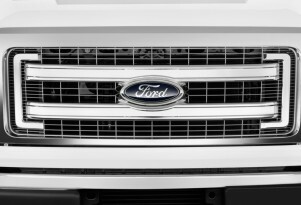 Improving Fuel Efficiency: Should Focus Be Trucks, Not Hybrids?